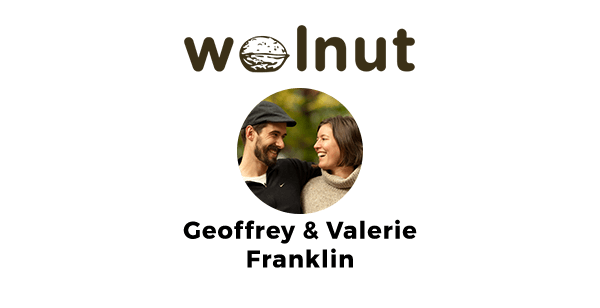 We’re excited to bring you an interview with Geoffrey and Valerie Franklin from Walnut Studiolo – a family-run workshop creating handmade solutions to everyday problems using only natural materials and setting only clear expectations. That’s Walnut Studiolo in a walnutshell. Good customer service is the “golden rule” – treat others as you would want to be treated. What customer service challenges were you facing in early days of Walnut Studiolo and what motivated you to solve them? In the early days, it was a major balancing act for us to meet turnaround time and delivery expectations because we made every single product to-order – in other words, once we received the order, then we began to make it. It required a lot of communication with customers to shape and manage clear expectations, and sometimes it required us to re-prioritize our work loads to make sure we could meet a customer’s deadline. As we grew and got more sales data, we started to have enough confidence in our sales to know what quantity of what products to make ahead of time and keep in stock, so that is the long-term way we solved this problem. We have a small, tight-knit team, so our main motivator is through good communication and setting clear expectations, and keeping our businesses processes and goals transparent so everyone on the team knows that what’s good for the business is good for them, too. Happily, we have a terrific customer service team and a history of excellent reviews, so NiceReply has been an important source of outside validation. So much! But it can all be summed up as – Have Faith! So many business decisions were made in the early years in an abundance of caution, and now after years of feedback, clear expectations and continuous improvement, we know to trust our customers and have confidence in our business decisions. What would you recommend to other businesses that aim to improve their customer service? 3. … clear expectations – concrete, measurable boundaries so people know at what point they need to ask for help or a second opinion (such as, the concession should not cost more than the original order amount). In addition, when it’s a problem, I always encourage our team members to seek out the root of the problem, and then find a solution that addresses the root issue in a fair and principled way. Thank you, Geofreyy, Valerie and Walnut Studiolo for sharing your interesting customer service tips with us! Stay tuned for more at Nicereply Customer Stories.